Purpose has more purpose and is more popular than ever. Today employees are much more attuned to an organization’s purpose. In our modern language we refer to organizations with a highly regarded purpose as having a “double bottom line.” High-performing employees thrive on organizational purpose; it’s becoming an important criteria for their career choices. A powerful, trendy-sounding purpose statement will soon become a part of every organization’s employer brand strategy. For some evidence of the current interest in company purpose in employer branding http://tinyurl.com/ozmjshe. I believe there are two intrinsic elements that can make an organization’s purpose attractive to employees or potential employees. The inherent intention described in the purpose statement makes it attractive. The implied authenticity of a purpose statement adds another important element to its charm. Purpose and authenticity must be essentially interconnected. Authenticity is chocolate to purpose’s peanut butter. Purpose without authenticity is hype. And hype turns off high performers. When an employee perceives that an organization’s purpose is aligned with their personal purpose, high performance happens and organizations are more likely to experience sustained excellence. Fact: The use of well-defined, shared principles and beliefs linking to frontline behavior had the single biggest impact on the sustainable success of the world’s most successful companies. This fact was a powerful conclusion of a massive research study conducted by Bain & Company and reported in Repeatability. The performance potential created by a culture that runs on the adrenaline of purpose alignment is available to any organization. IKEA is a case in point. “The IKEA Way” provides employees with a context for the “how,” why” “and “why it matters” that enables this global leader to continue to change the way people live in their homes. IKEA’s purpose is inherent in its mission and values and provides the purposeful inspiration for employees. IKEA’s mission (“Helping the many people and those with thin wallets.”) and its vision (“To create a better everyday life for the many people.”) is at the core of the shared beliefs that give credibility to “The IKEA Way.” The company’s operational ethos known as “The IKEA Way” has become a very powerful arbiter for making decisions and employees being able to apply these shared beliefs to their job. As an example, employees of IKEA have a practical understanding how “The IKEA Way” provides context for its key guiding principles of a focus on cost and design. 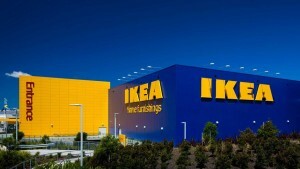 Here’s more detail about “The IKEA Way” in action http://tinyurl.com/n6jdkjz. 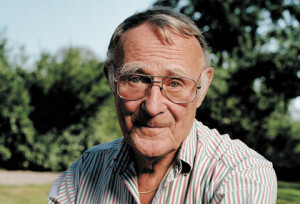 Clear line of sight to IKEA’s founder. A credible purpose must be anchored in a proven, demonstrated reality. There is no better platform to add authenticity to an organization’s purpose than a credible, transparent connection between a founder’s purpose and a business’ current culture. This type of real-world credible connection with a founder’s intent is the strongest platform to leverage the power of a “Company Way.” It is a huge missed opportunity if your organization is not leveraging the power of your founder’s personal brand. Leveraging the power of authentic alignment. Many of IKEA’s employees identify with and are inspired by the company’s purpose. More importantly the culture at IKEA has developed the necessary competencies e.g., design and cost management, that support the company’s purpose. The IKEA Way provides clear understanding of linking employee behaviors to the company’s shared principles and beliefs. What is your “Company Way”? Define it and your employees can know it and consistently act on it. Keeping the purpose front and center. “We’re guided by a vision to create a better everyday life for the many people. That is what steers us, motivates us – that is our role,” says IKEA group CEO Peter Agnefjäll, … We feel almost obligated to grow.” Language is a powerful tool to perpetuate a culture and using it to connect actions with purpose gives everyday credibility to it. Credibly identifying certain behaviors and accomplishments with the values and beliefs of “The Company Way” is a powerful culture-building tool. For more practical information on how to create and foster the power of authentic alignment in your culture http://www.brandtoolbox.com/blog/authentic-alignment-the-new-brand-of-high-performers/.